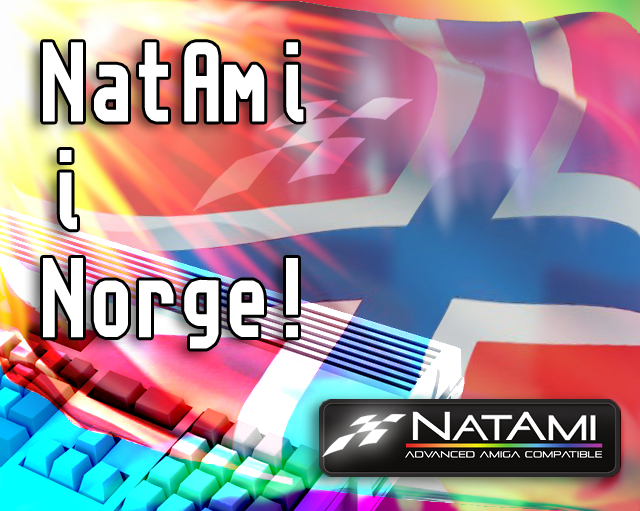 The news today is that the first Natami MX-board arrived in Norway. If you aren’t familiar with the MX-board, you can find more information about it in a post I made last year. It is available here. It was the Natami team-member and developer Rune Stensland (Skjeggspir or SP) that received the board yesterday. He’s the guy that developed the AHI-drivers for Paulina, which is the successor to Paula (the audio chip in classic Amiga systems). Paulina has 8 voices, 16+8bit. Developers in Sweden and France received their boards a few months ago, and now Norway joins the ranks. Congratulations to Mr. Stensland! Oh, woops! Came by because you had commented on Michael’s 300th post. Michael (The Heretic) comes by my blog often & I thought, hmmm, wonder what his mates are like. But this is SO gaming!! My son would love this, by the way. Must show him. He’s into everything you say here. Anyway, thought I’d comment since I came by. Seeya (300 posts!! I haven’t even made a hundred).